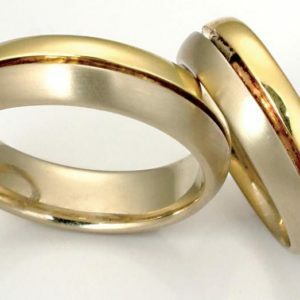 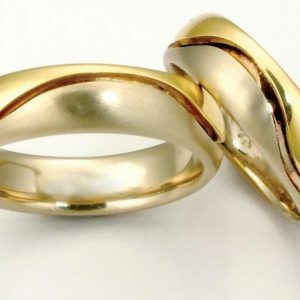 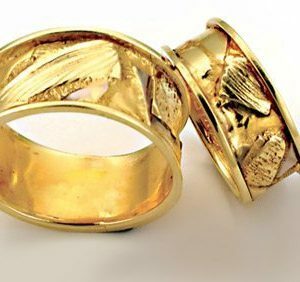 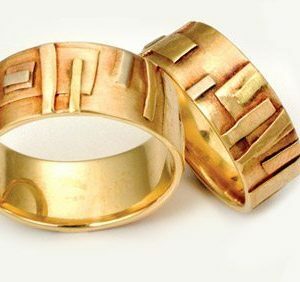 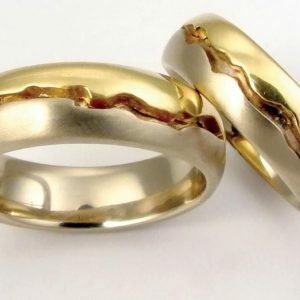 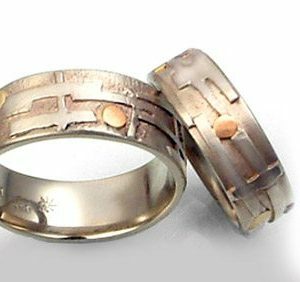 Unique and unconventional wedding rings become abstract art in colorful white, red and yellow gold designs. 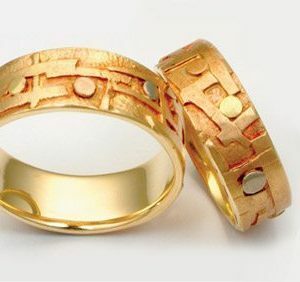 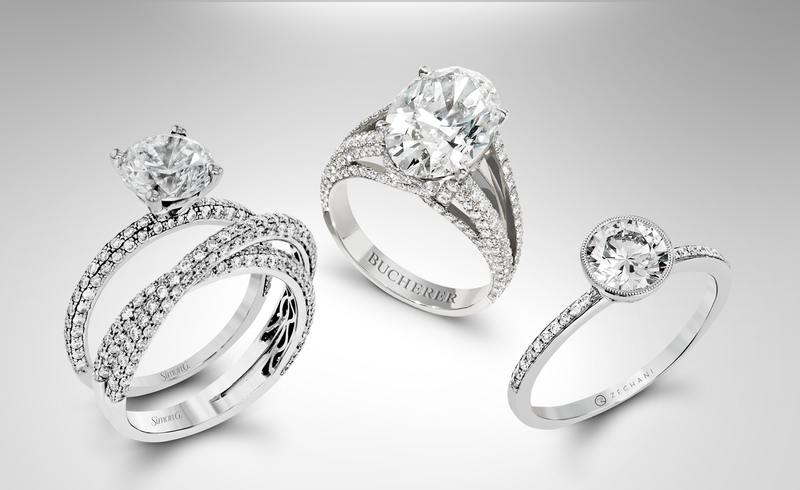 Your unique lifestyle is reflected by your ring, a one-of-a-kind painting in gold. 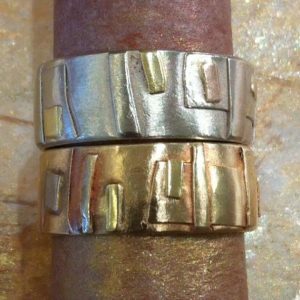 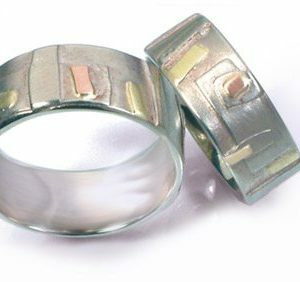 Think of a ring as a painter’s canvas for the application of color and texture using gold fusing, not a brush. 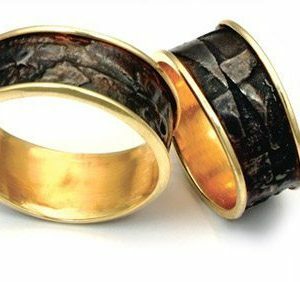 With each yellow or white gold ring being a one-of-a-kind tapestry of colors and patterns, this collection is a visit to a contemporary art museum.